Dave Chan simulates ground winds on the rocket during liftoff by using what’s called smoke flow visualization. 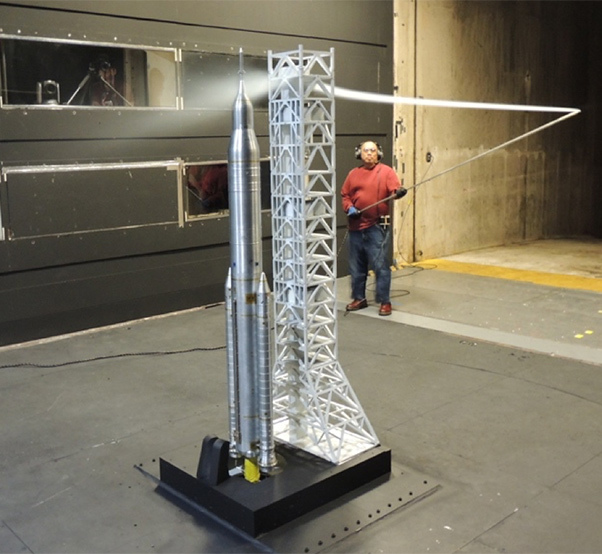 This technique allows engineers to see how the wind flow behaves as it hits the surface of the launch tower model. The world’s most powerful rocket — NASA’s Space Launch System — may experience ground wind gusts of up to 70 mph as it sits on the launch pad before and during lift off for future missions. 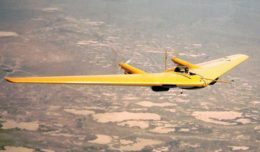 Understanding how environmental factors affect the rocket will help NASA maintain a safe and reliable distance away from the launch tower during launch. 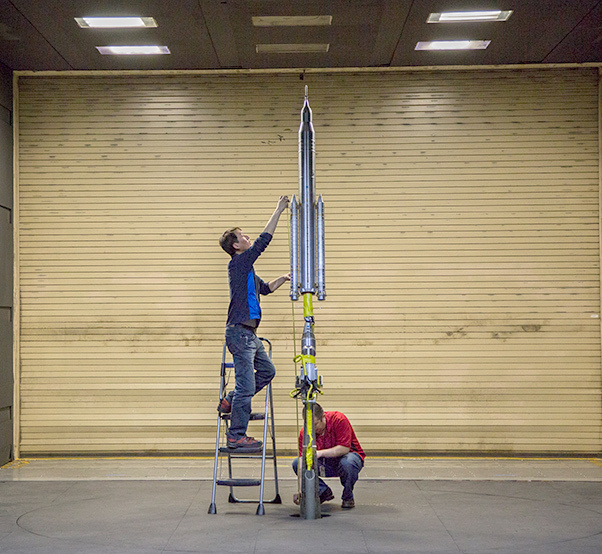 SLS model testing in NASA Langley Research Center’s 14×22-Foot Subsonic Wind Tunnel in Hampton, Va., is designed to simulate wind conditions. 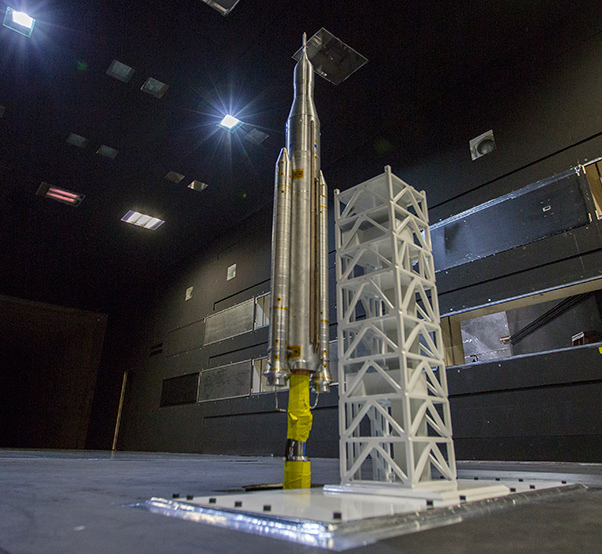 The 6-foot model of the SLS rocket undergoes 140 mph wind speeds in Langley’s 14×22-Foot Subsonic Wind Tunnel. Engineers are simulating ground winds impacting the rocket as it leaves the launch pad. 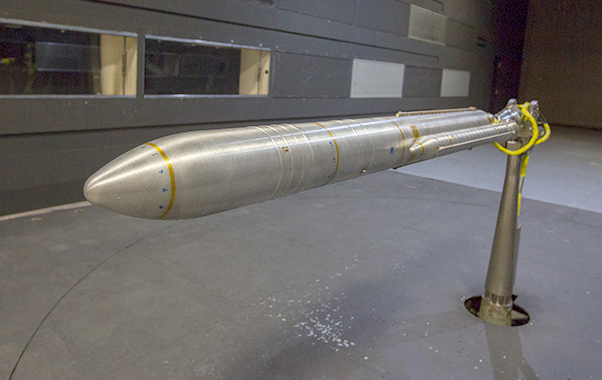 According to Langley research aerospace engineer Dave Chan, wind tunnel tests are a cost effective and efficient way to simulate situations where cross winds and ground winds affect different parts of the rocket. The guidance, navigation, and control team uses the test data as part of their simulations to identify the safety distance between the rocket and the launch tower. SLS is designed to evolve as NASA moves crew and cargo farther into the solar system than we have ever been before. The Langley team tested the second more powerful version of the SLS rocket, known as the Block 1B, in both the crew and cargo configuration. Take a behind-the-scenes look of the hard work being done at Langley to support safe explorations to deep-space. Dave Chan and test engineer Les Yeh create a scenario where the rocket has lifted off 100 feet in the air past the top of the launch tower. At this point in the mission, SLS is moving at speeds of about 100 mph. 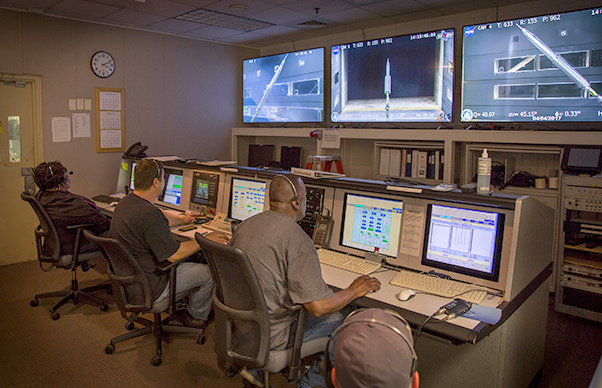 Engineers at Langley collect data throughout the test which is used by the rocket developers at NASA’s Marshall Space Flight Center in Huntsville, Ala., to analyze and incorporate into SLS’s design.